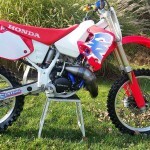 Restored 1993 Honda CR125R Motorcycle. 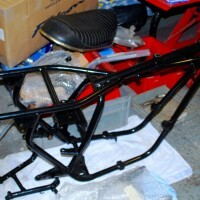 It was stripped right down to the frame. 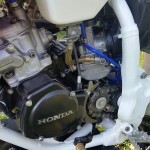 The engine was rebuilt with a new crankshaft. 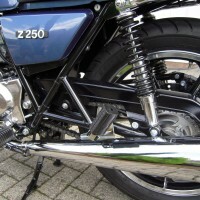 A works style Dyno Port exhaust with a stock silencer was fitted. 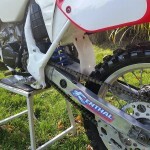 New heavy duty aluminium radiators were fitted with new blue silicon radiator hoses. 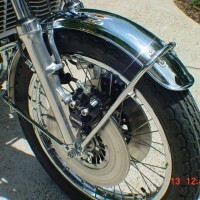 The swing arm was polished and fitted with new linkage bearings. 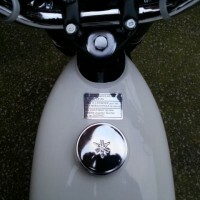 New plastic frame covers were fitted. 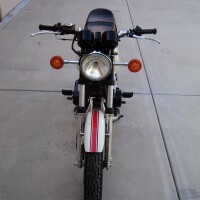 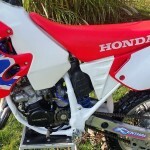 A great restored Honda CR125R Motorcycle. 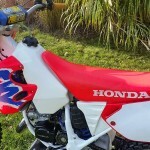 Honda CR125R – 1993 For Sale or Wanted? 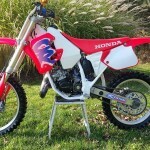 If you're looking for the perfect Honda CR125R – 1993 for sale then take a look at the hundreds of restored classic motorcycles listed on our extensive Motorcycles For Sale pages. 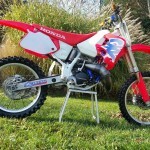 We regularly feature very nice restored Honda CR125R – 1993 bikes for sale. 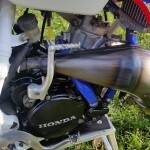 Spares and Parts for your Honda CR125R – 1993? 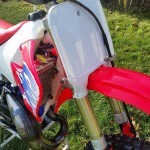 Workshop Manual for your Honda CR125R – 1993?